A road map for better communities. 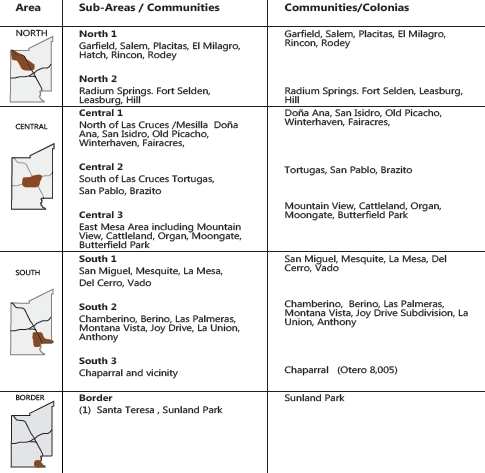 Doña Ana County is home to 37 colonia communities. According to the U.S. Department of Housing and Urban Development (HUD), a colonia is a rural community or neighborhood located within 150 miles of the U.S./Mexican border that often lacks adequate infrastructure and other basic services. It is estimated that there are 138 colonias in the State of New Mexico; Doña Ana County is home to more than 25% of those colonias. These communities and neighborhoods may lack many of the basic necessities most people take for granted, such as paved roads, sanitary sewer services, and safe affordable housing. The lack of these basic necessities makes life in colonias more challenging; daily life and activities such as getting to work or school, or buying groceries can become much more difficult without proper roads and community services. Doña Ana County is comprised of many distinct and culturally rich communities. Each community and colonia is proud of their community identity, history and values. For this reason, a more flexible planning approach is necessary to accommodate the various concerns, interest and priorities of each community, while aligning to possible funding strategies and as a result creating community partnerships. 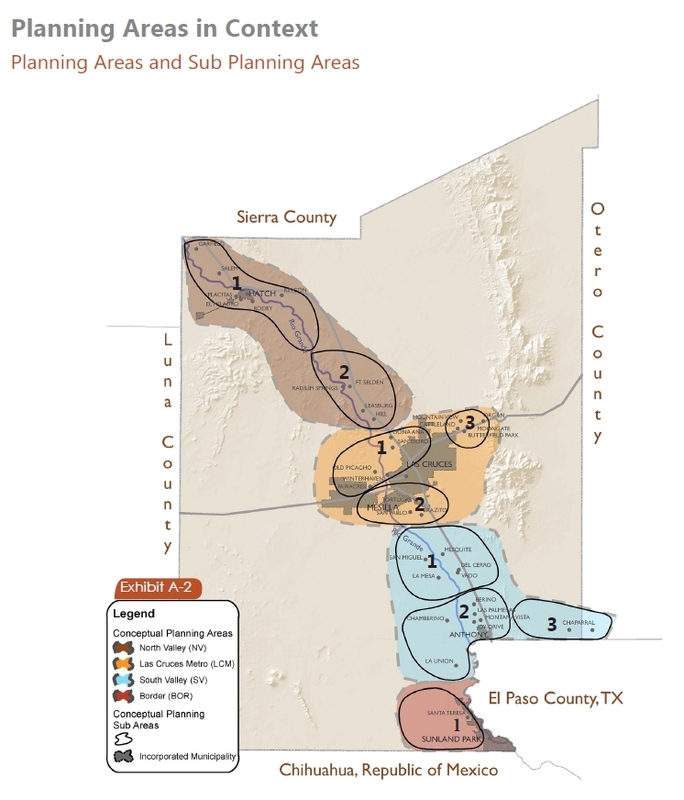 For planning purposes, Doña Ana County has been grouped into four (4) major planning areas and nine (9) sub-planning areas. These planning areas will make the development of the plans more efficient by aligning communities with shared common challenges and opportunities. These planning areas will also allow regional planning to be more efficient by requiring nine (9) sub-area plans for the entire County rather than thirty-seven (37) separate plans.